Duff McKagan - "It's So Easy (and other lies)": Duff McKagan - "It's So Easy (and other lies)"
Duff McKagan - "It's So Easy (and other lies)"
Duff McKagan is certainly best known for his band Guns and Roses, as well as Velvet Revolver and his columns on ESPN.com. 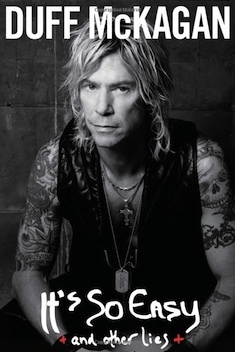 Now Duff has written a book about his life, which really reads more like a novel. I haven't seen or spoken with him in over 20 years, but today he dropped by the studio to catch up and discuss his latest release.